Toronto : Opening up a whole new paradigm for treating or even indefinitely postponing the onset of osteoporosis, researchers have found that a single injection of stem cells could potentially restore the normal bone structure in those affected by the condition in which bones become brittle as a result of loss of tissue. With age-related osteoporosis, the inner structure of the bone diminishes, leaving the bone thinner, less dense, and losing its function. The disease is responsible for an estimated 8.9 million fractures per year worldwide. The researchers earlier demonstrated a causal effect between mice that developed age-related osteoporosis and low or defective mesenchymal stem cells (MSCs) in these animals. “We reasoned that if defective MSCs are responsible for osteoporosis, transplantation of healthy MSCs should be able to prevent or treat osteoporosis,” said senior author of the study William Stanford, professor at the University of Ottawa in Canada. To test that theory, the researchers injected osteoporotic mice with MSCs from healthy mice. 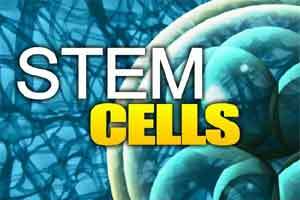 Stem cells are “progenitor” cells, capable of dividing and changing into all the different cell types in the body. Able to become bone cells, MSCs have a second unique feature, ideal for the development of human therapies these stem cells can be transplanted from one person to another without the need for matching (needed for blood transfusions, for instance) and without being rejected. The findings were published in the journal Stem Cells Translational Medicine. “We had hoped for a general increase in bone health,” study co-author John Davies, professor at the University of Toronto, said. “But the huge surprise was to find that the exquisite inner “coral-like” architecture of the bone structure of the injected animals which is severely compromised in osteoporosis was restored to normal,” Davies noted. While there are currently no human stem cell trials looking at a systemic treatment for osteoporosis, the long-range results of the study point to the possibility that as little as one dose of stem cells might offer long-term relief.